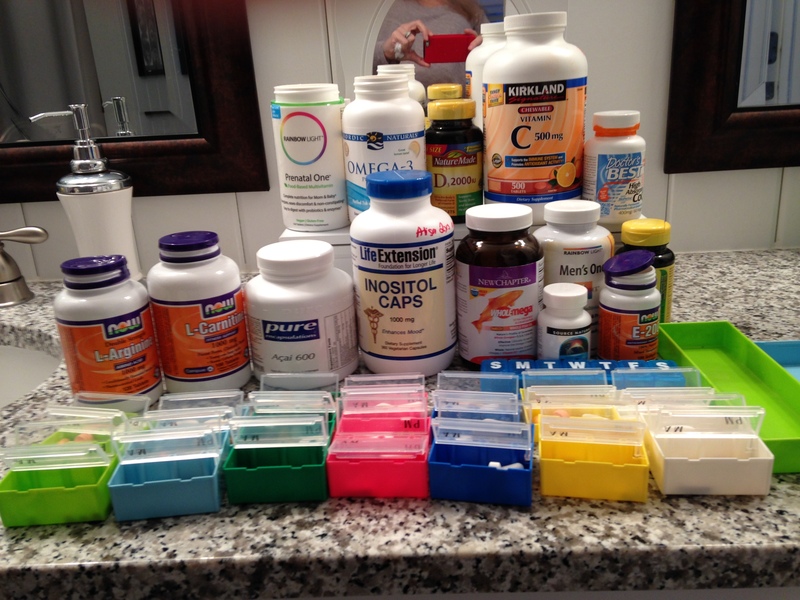 Here is the list of supplements Bill is taking. It is notably shorter than mine. Go figure! We definitely saw an improvement in his little swimmers after following this regimen. In fact, the improvement was so great that we went from being in a morphology range that requires ICSI (intra-cytoplasmic sperm injection) to a healthy range that would allow us to avoid ICSI if desired. I’ll explain in a later post what ICSI is, but for now all you need to know is that its good to not have to do it even though we will always choose to do it. A little bit! Bill only stays on top of his regimen because I organize them for a whole week in a giant pill box and then micromanage the hell out of him.